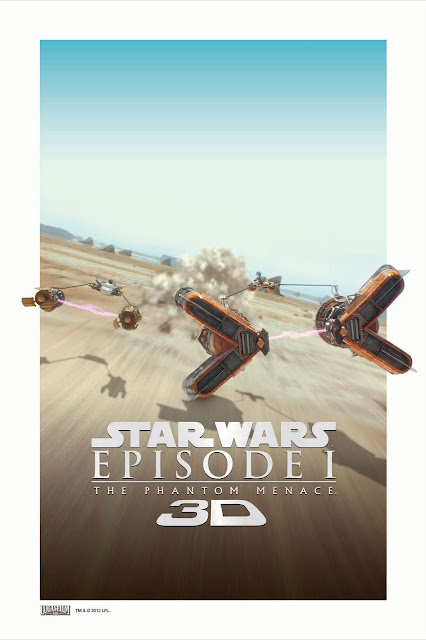 “Star Wars Episode 1: The Phantom Menace” The Force is Back in 3D! Following the first acclaimed and hugely successful Star Wars films, ”Star Wars: Episode I The Phantom Menace was released in 1999. The movie starred Liam Neeson as Qui-Gon Jinn and Ewan McGregor as his apprentice Obi-Wan-Kenobi, a determined young Jedi Knight. Natalie Portman played Queen Amidala. Jake Lloyd starred as Anakin Skywalker. It is a fantastically exciting adventure set 32 years before the events of the original. This is gonna be a hit movie this year. My kids would love to watch this 3D movie.